If I told you that it was possible to talk to animals and that they could talk back to you, would you think I was crazy? Five months ago, I wouldn’t have blamed you. Now? Now I know it’s not crazy at all. I have seen enough evidence to know that we can communicate with animals and they can communicate back to us! I understand how hard it is to believe a concept that seems so far-fetched and even a little childish. I have always wanted to talk to an animal and have it talk back to me. Haven’t we all? There have been all sorts of TV shows and movies depicting fictitious animals with the ability to communicate in one form or another: Lady and the Tramp, Mr. Ed, Babe, Flipper, Benji, and of course, Dr. Dolittle (Remember the pushmi-pullyu? I loved them! It?) Well, as if straight out of a dream, I just found out that it really is possible to communicate with animals, and I am here to tell you all about my discovery. Of course, I have since tried to “hear” what my own animals were saying, but I haven’t been successful yet. It’s a skill, and like the development of any other skill, it requires much education and practice. The way I came about this revelation was purely by accident. I hadn’t actually been pondering the subject when I happened upon The Animal Communicator, a documentary commissioned by the Natural History Unit of Africa (NHU Africa). 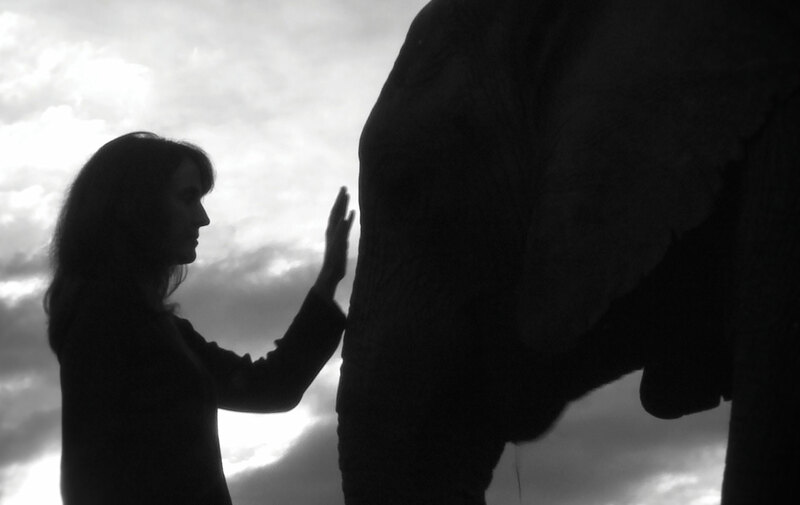 The film features South African–born Anna Breytenbach, who has devoted her life to “interspecies communication,” whereby she sends mental images to animals and receives messages back from them in turn. Swati Thiyagarajan, one of India’s top environmental journalists, was skeptical of Anna’s abilities. In an attempt to verify or refute Anna’s claims, Swati became involved in the documentary project. She watched as Anna communicated with the animals and diagnosed their problems. Time and again, the animals’ caregivers confirmed the messages Anna received from the animals. In addition to displaying Anna’s amazing abilities, the documentary also stresses the importance of our relationship with nature and sharing the earth with animals. For me and many other people who have seen the film, there is no longer any question as to whether animal communication is possible. This documentary completely changed my opinion on the subject—it has also changed my life. I encourage you to watch it, if you are able to purchase it or find it on the Internet. Anna Breytenbach is a South African interspecies communicator, animal activist, conservationist, and public speaker. While Anna was filmed speaking to the different animals in need, she was not permitted to ask the animal keepers any questions regarding her animal clients. Most of the animal keepers who were part of the documentary were quite skeptical about animal communication, but none more so than Jurg Olsen, the founder of Jukani Wildlife Sanctuary for big cats in George, South Africa. Jurg was at his wit’s end with the antisocial and angry Diablo, a gorgeous black leopard that had come to the sanctuary six months earlier. The cat had been rescued from a European zoo where he had been mistreated. After arriving at Jukani, the cat would not venture outside of his small night enclosure. There was a very large and open natural area that he could use, but during his six months at the reserve, he would not go out and explore during the day. He only hid in the small enclosure, snarling and growling at anyone who approached him. He seemed anxious all the time and he was clearly very unhappy. Much to Jurg’s surprise and delight, later that day, Diablo followed through on what he had “said” to Anna. He came out of his enclosure and explored for the very first time in six months. Anna also mentioned that Diablo wanted to know what had happened to the two young leopards that were near him at the zoo. It was impossible for Anna to have known about the two leopard cubs. This was the first moment that Jurg truly knew that Anna was receiving something from Diablo. There was no other way she could have known about the two cubs. Jurg was blown away, as anybody would be when faced with such a fantastic revelation. Despite his prior feelings, he now believed that Diablo was indeed communicating with Anna. Before Anna communicated with Diablo, Jurg spoke of his disbelief in animal communication, but went ahead and let her try. Anna turned to ask Jurg if he wanted to comment on Spirit’s response, but Jurg was so overcome with emotion that he was too choked up to speak. This was the most powerful moment of the documentary for me. Seeing Jurg so moved and overwhelmed by the reality of what had just transpired affirmed for me that all of it was real. It was easy to tell that Jurg wasn’t faking anything. His feelings and reactions were genuine. His uncontrolled emotion perfectly portrayed how I imagine I would feel if I were in his shoes at that moment of enlightenment. When Anna communicates with an animal, it’s not in words, nor does she use her voice. Instead, they communicate with each other by projecting thoughts and images in their minds. Anna receives images from them, and she projects what she’s thinking to the animal. Bodily sensations are also involved. She might feel a stomachache from an animal, indicating that there may be an abdominal issue with him. Since everything in the universe is made up of energy, it is possible that we are all connected. And perhaps, because of this interconnectedness, we can communicate with animals on a quantum level. Spirt has changed my whole approach to animals...I now see them as each one being unique. Still, my skeptical side questioned one part of the filming process. I was bothered by the way Anna was filmed talking to Spirit. They claimed that when Anna approached his enclosure, he did not snarl and growl at her, nor did he retreat into the grass and hide, as he usually does. They didn’t show this event take place. It was edited to look like she was looking at him and speaking to him, with him relaxed and calm, but they never showed a full frame of it happening. Ha! You can’t fool me, you sneaky documentary. What’s up with that? I wanted the proof of seeing Spirit let Anna approach him without resistance. So why wouldn’t they show that part to prove it? It seemed suspicious. I had to find out why, so I tried to contact Anna, but she has been inundated with interview requests ever since the documentary was released. She was unavailable to interview for at least a year, so I went to the next-best source: Jurg Olsen. I e-mailed Jurg to ask him a few questions about Spirit and the documentary, and he was eager to answer anything I wanted. Jurg went into great detail when answering all of my questions, and I am very grateful for that. When I asked him about the missing key scene of Anna “talking” to Spirit, Jurg explained the reasoning for the editing. He said that Spirit was sensitive and quick to become stressed around people. He explained, “I did not want the filming team to accompany Anna as it would get too crowded, and I would then have to close him in his shelter so he wouldn’t run off—and believe me, he would have been impossible to work with if he was enclosed. I needed to give him a fair chance at speaking his mind.” The last time Jurg tried to close Spirit in his shelter, he was hospitalized for a week! Jurg thought it best to let Anna go see Spirit by herself with no filming crew around her, to allow them the best environment for communication. They then filmed a scene to reenact her speaking with him for the first time. This made perfect sense, and it helped me immensely as far as understanding why they couldn’t show it as it happened. Meeting Anna and learning of her remarkable abilities changed Jurg’s life. After the documentary, he attended her workshop on animal communication; he now communicates with all the cats at the refuge. He says that it has had a very positive effect on his relationship with his cats. Jurg interacts with them very differently now as a result of what he learned. Then Jurg said something that has really made me think very differently about how we should treat animals, especially wild ones. Spirt will never be a cat that you can touch; he is way too much of a spiritual being. In the documentary, Anna also visited the largest free-flight aviary in the world to help with a cockatoo named Coco, who never settled in at the aviary and had begun attacking visitors. They were forced to put Coco in a cage where he couldn’t attack people anymore. He was still very distressed, screaming almost all the time. When Anna approached Coco, she was immediately struck with an overwhelming feeling of grief. A wave of emotion overcame her from the powerful sadness that she felt from the bird. Without any previous knowledge of the bird’s story, Anna relayed that the cockatoo claimed he arrived at the aviary very suddenly, and without knowing why. He desperately missed his person, who had hand fed him and raised him from a chick. They had a very strong connection, and Coco felt alone. I was completely blown away to find out that this was the reason for Coco’s stress. The employees at the aviary confirmed the story. Coco’s owner had to leave the country suddenly because of a visa problem, and they took Coco in. Coco had been screaming and attacking people ever since, all out of sadness and grief, simply trying to get back to his person. If a bird can have such a strong emotional response, can’t any animal? Even sadder than the bird’s obvious distress and grief is the fact that Coco died three weeks after filming ended. A cause of death was not cited, but he likely died of emotional distress. It is a powerful indicator that animals are beings that have their own individual personalities, feelings, and needs. Coco might not have been able to be reunited with his person, but as you can imagine, there are endless other things that could have been bothering him—problems that might have been resolved simply by asking the animal and then correcting the issue at hand. Having a way to communicate with an animal would be the only way we could truly help, as this case proves. The fact that we humans have a history of exploiting animals for our own wants and needs is extremely sad. It is separating us from the very nature that we evolved from and are still a part of. We are nature; we are not apart from it. Our society’s disconnection from our natural side is putting the earth and its future in jeopardy. We cannot survive as a species by ourselves. The circle of life must continue, or we will perish. Nature must be respected and preserved. We all have an innate ability to communicate with animals. Our ancestors used it, and primitive peoples still use their abilities to track animals for their food supply. It’s how they survive, and it’s hardwired in the primitive part of our modern brains. “We all have the spirit to communicate on this level, but due to modern society’s distractions we have lost this ability,” says Anna. If Anna can talk to and hear back from animals, why can’t we all? She does have a gift for it, yes. However, she was not born with it. She first learned of her ability while taking an animal-tracking course with Jon Young. She then proceeded to take classes on animal communication from the Assisi International Animal Institute in California, where she sharpened her skills. Now people from all around the world seek her services. Christopher Mason, the marketing manager at NHU Africa, took Anna’s animal communication course after they filmed the documentary. When I interviewed him, he explained the importance of interspecies communication. I agree with Christopher, and I feel that it is essential for the betterment of the relationship between our species and the creatures that live on the planet with us. For more information about The Animal Communicator or to purchase the DVD, please e-mail geta@nhuafrica.com.